We are pleased to announce that Slatter Management is the proud recipient of the 2017 Torch Award of Ethics from the Better Business Bureau. We specialize in the management of Homeowner Associations and Condominium Associations in the Triad Area, and we fully appreciate the community’s support and decision to honor us with this prestigious accolade. Slatter Management strives to be a productive and helpful member of the community and a beacon for honest and ethical service. The Torch Award acknowledges local BBB Accredited Businesses that uphold a substantial commitment to honest and ethical business practices. We are honored to be recognized for this milestone, and winning the Torch Award on our 15th anniversary is especially important to us. We’re happy you can be here with us to celebrate this important milestone. We always strive to reach a higher standard and get better every day, and we hope we get the chance to prove that to you through our unique customer service and professional team. We still convey to our Board of Directors something called the Best Business Judgment Rule, and we always aim to talk to the homeowner like we live there. That’s because Slatter Management’s goal is to treat everyone, especially the homeowner, in the way we’d want to be treated. There should be no reason not treat everyone with dignity, and we believe you can do that while following all guidelines and regulations. Above everything, it’s crucial to treat people with respect and integrity. It’s essential for us to put ourselves in the homeowner’s shoes when we’re speaking about violations and other types of regulations because the homeowners are the people living with those rules and procedures. We are human too, and we understand that a person’s emotions are involved. Give us a call today to learn more about our services and see what we can do for your community! Winning the award means the company not only believes in the high standards promoted by the Better Business Bureau but also consistently acts on those standards and continuously mixes them into everyday business practices. Torch Awards entries are assessed by an independent panel of judges. Topics include customer relations, management policies and practices, community involvement and marketing/sales practices. 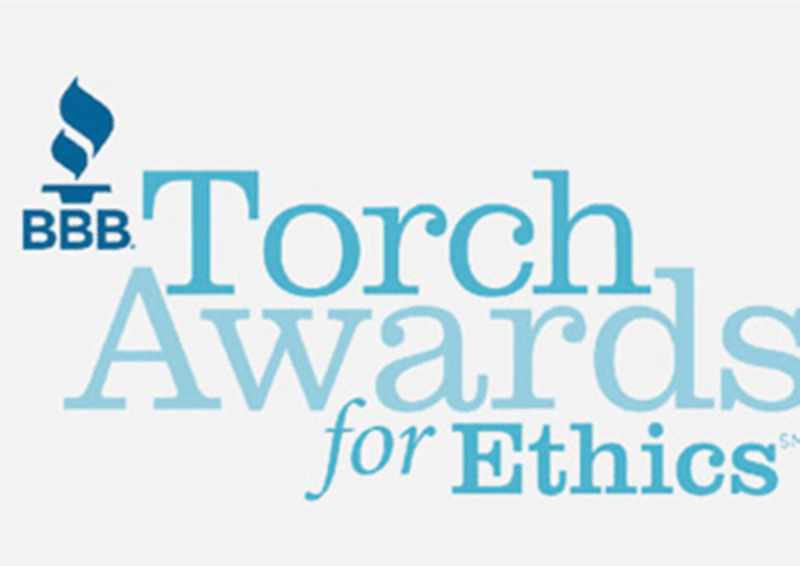 For this year’s Torch Awards, students from the Department of Marketing, Entrepreneurship, Hospitality, and Tourism in the UNCG Bryan School helped five local businesses contend for the Better Business Bureau’s 2017 Torch Awards for Ethics. Students worked with the businesses on their applications for the award as part of a consumer behavior class. After that, the students gave short presentations to a three-judge panel on how the companies do things like build trust with their employees, vendors, and customers in the marketplace. Slatter Management has a unique approach toward hiring potential job candidates. Our organizational development manager makes sure the Best Business Rule is followed and that our customer service is unprecedented. When we hire a new person, they spend a week with our organizational development manager and learn about customer service practices, the value of trust, transparency and Slatter Management’s values. Slatter Management applied for the Torch Awards because we wanted recognition for everything we do. If you want to be part of a team like this, request a free proposal today. Being a Torch Award winner is important to us because it validates the hard work our team of ambitious professionals put in on a daily basis. It also validates the integrity, trust and ethical approach we take toward each association’s unique needs.